Heat 1 tablespoon of oil in a large saucepan on high. Cook pork, in batches, 5 minutes, until browned. Remove; set aside. 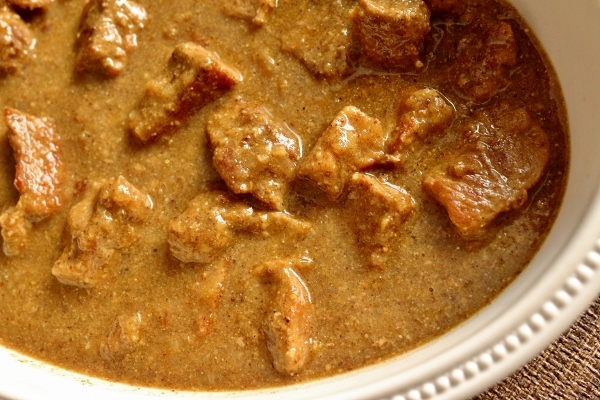 Vindaloo is a popular dish of Indian cuisine. This recipe uses a plethora of spices to make a paste for flavoring the pork for a complex and delicious meat course.